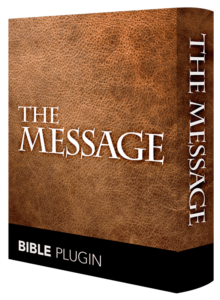 The Message Bible plugin is designed to work directly with SongShow Plus! 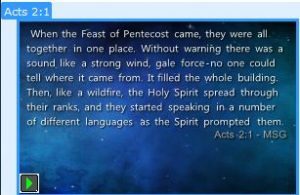 This version is specifically written in paragraph form and doesn’t follow a traditional chapter/verse format. 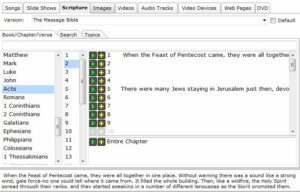 When displaying this translation in SongShow Plus there will be blank verses to accommodate the nature of the writing style of the author (see images above).